This was two setups in fairly rapid succession about two weeks after the NS horns were installed. First they installed a Wheelock RSSP strobe to cover the hole. That was a permanent solution. However, due to availability of parts, they were unable to install the permanent horn just yet. 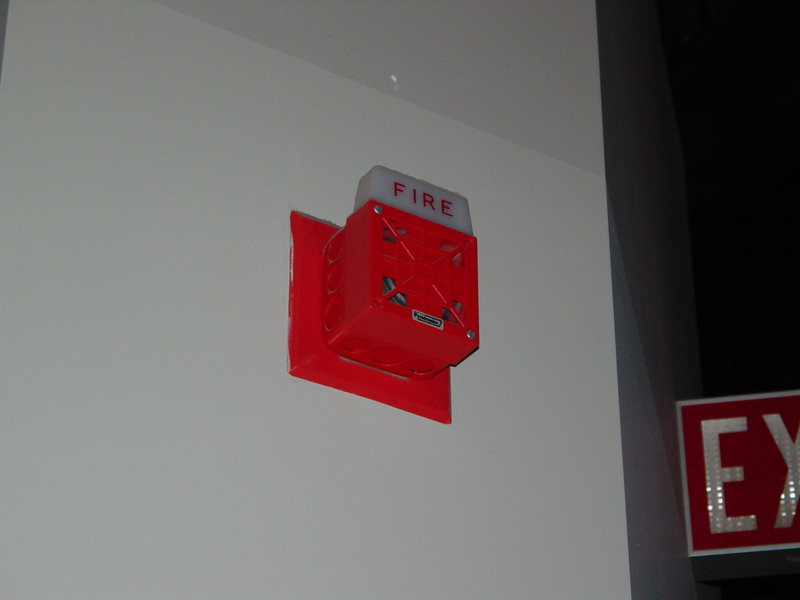 So they took a Wheelock AS horn/strobe and put it in place, and placed electrical tape over the AS’s strobe. The rationale for this was sound: too many flashes could cause a seizure in some people. I have a late 1990s/early 2000s video from Wheelock where they discuss strobes and people with photosensitive epilepsy and how not to cause people to have seizures when the fire alarm goes off. Then a little later once the parts came, they put the final solution on, which was a Wheelock AH horn. For those unfamiliar, a Wheelock AH is a Wheelock AS with no strobe mechanism and a cover over the strobe, for applications where a standalone horn is necessary. You usually see them in hotel rooms, or other applications like this where they need to use something to elegantly cover the opening. 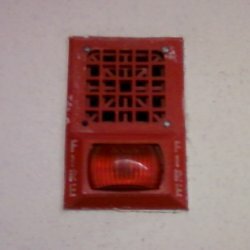 Strangest I’ve seen is at the Target that I shop at in Wheaton, where there are Wheelock AH horns on the columns around the store, and then Wheelock RSS strobes in the ceiling. Why they didn’t just use horn/strobes is beyond me. 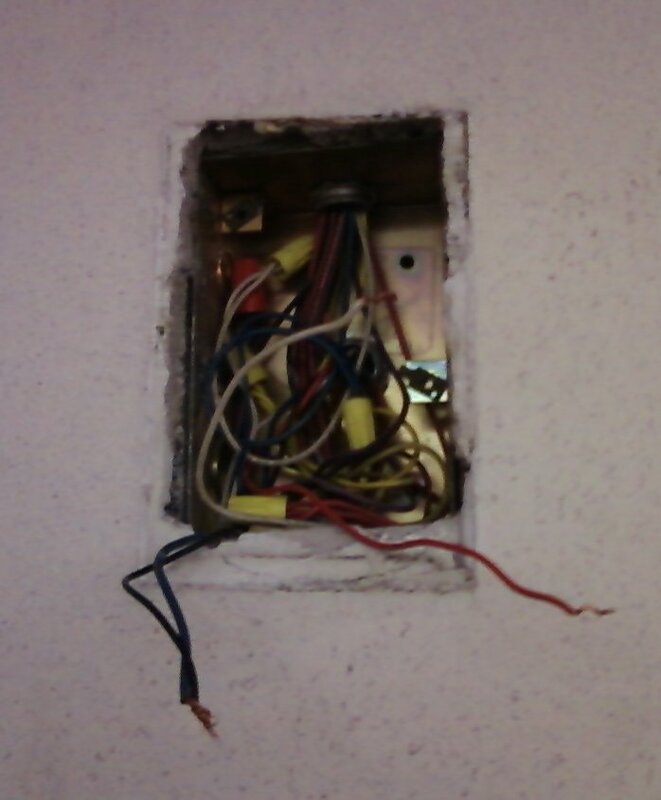 That’s what the Macy’s does with Simplex TrueAlert horn/strobes. 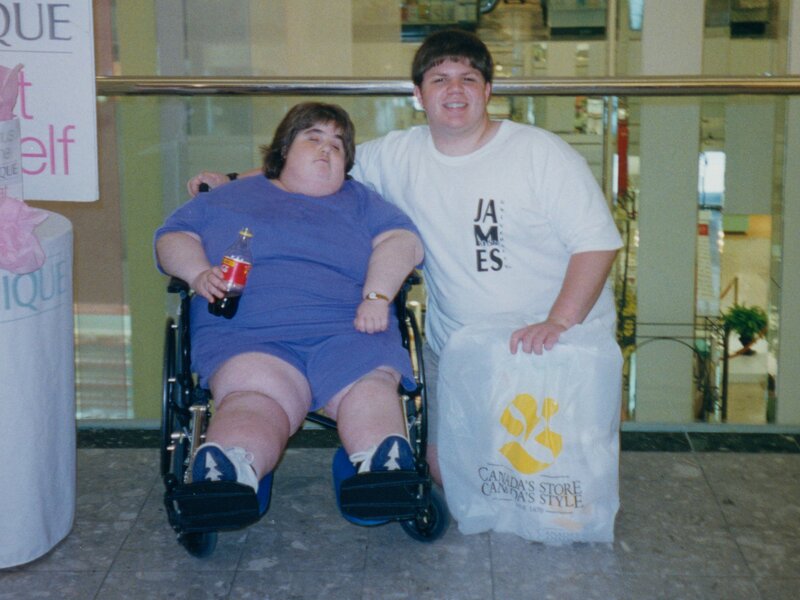 And then the mall itself uses Edwards Genesis speaker/strobes. So that’s how it stayed for about three and a half years. That lasted us through a few fire alarms, and some alarms that I was out to lunch for. That’s the old pull station dangling by the wires. It’s like this one from my apartment building, but without the UL mark. I don’t know who makes it. 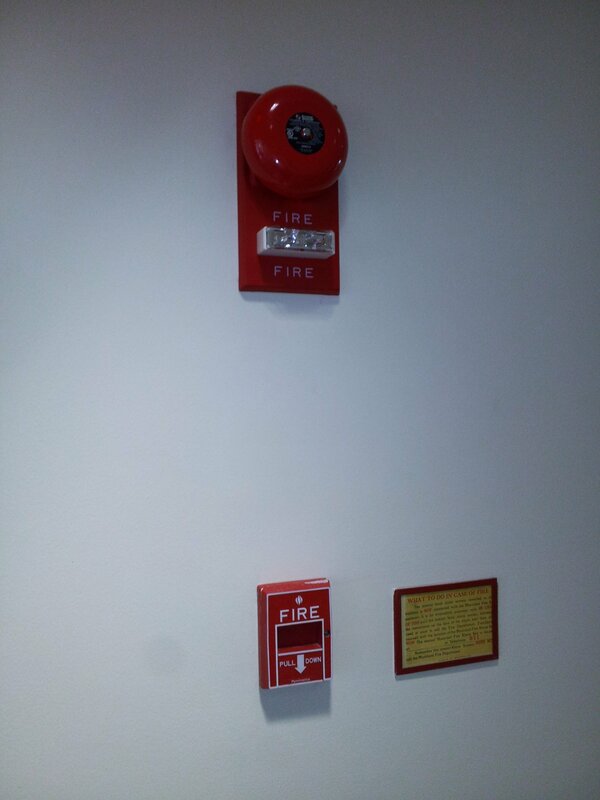 I also forgot to ask if I could have it when they were finished removing it, so unfortunately, I missed an opportunity to add to my alarm collection with this work. Oh, well, I suppose. I got an confused look from one of the building engineers who was walking by when I was taking this photo, and I explained to him that I was “maintaining my nerd cred”. 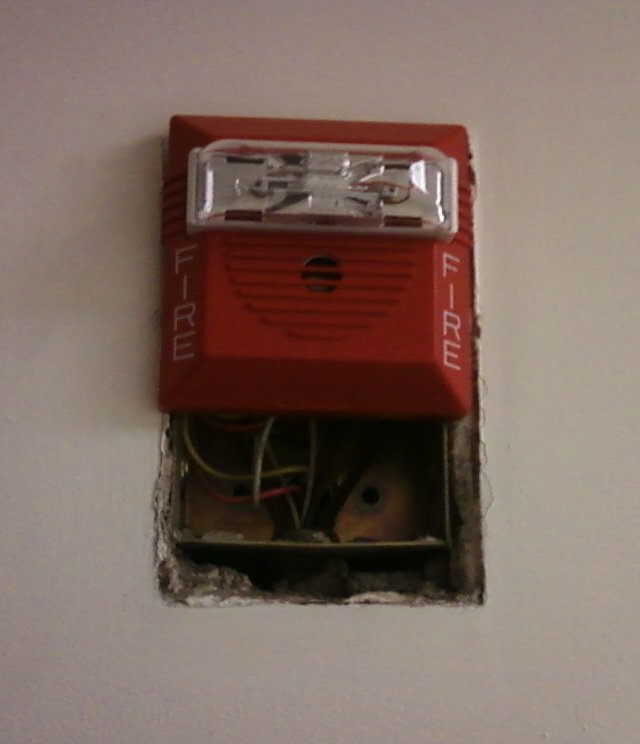 The other engineers and such know about my interest in fire alarms (and have seen the Wheelock 7002T on my desk), but this guy didn’t realize what a fire alarm nerd I am. The pull station didn’t surprise me in the least. 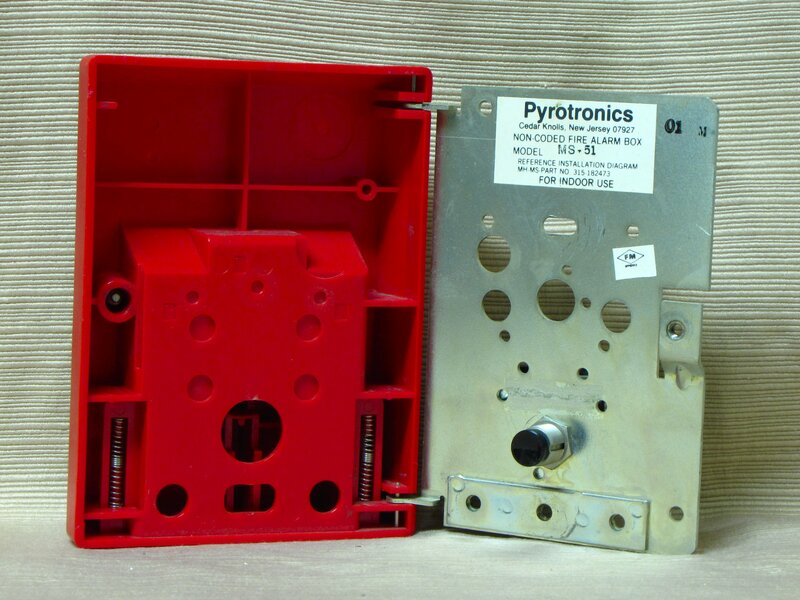 The single-action Pyrotronics pull station is the standard pull for our building, and this pull station was clearly not new (maybe this was the one that they had found in the ceiling during an earlier inspection?). It’s not an MS-51, however. 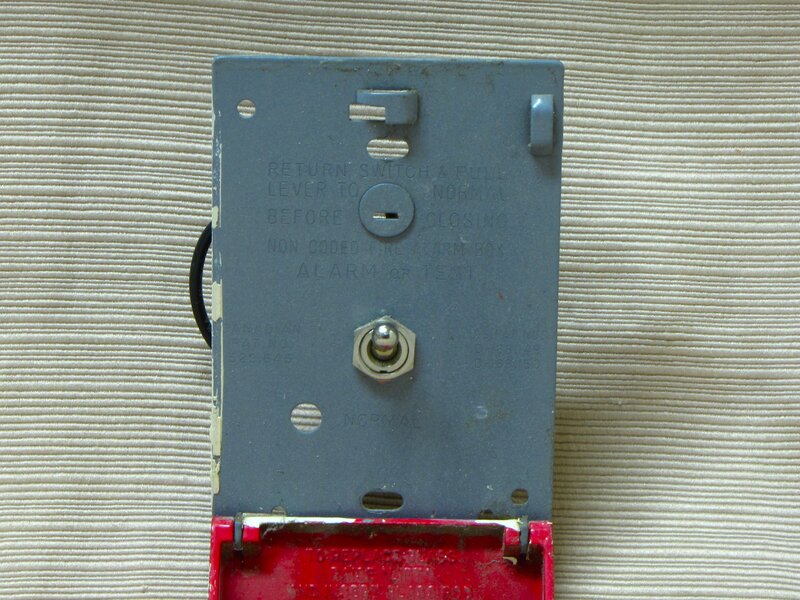 When they were testing pull stations one day (with the notification appliances disabled), I discovered that rather than the button that’s in the MS-51, the ones in our building had a switch inside them like Edwards pull stations. I got a glance at the model number, and I saw that it was MS-60-something, but don’t remember the exact number. 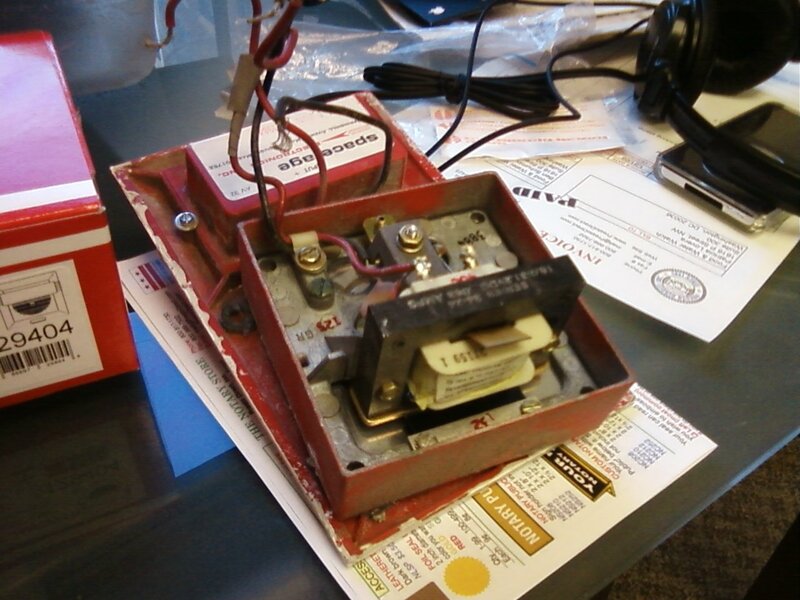 It looks exactly like the MS-51 to the casual observer, though. 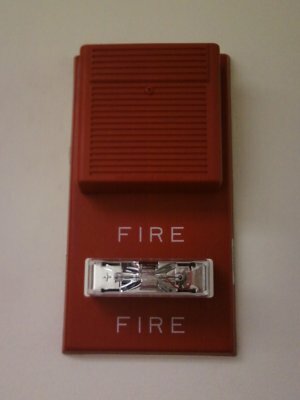 I do know that if they replace these pulls with something new, I want one. Apparently these are System Sensor SSM24-6 bells. I always figured we’d get the Wheelock MB, since that goes along with the whole use of Wheelock notification appliances. But there you go. 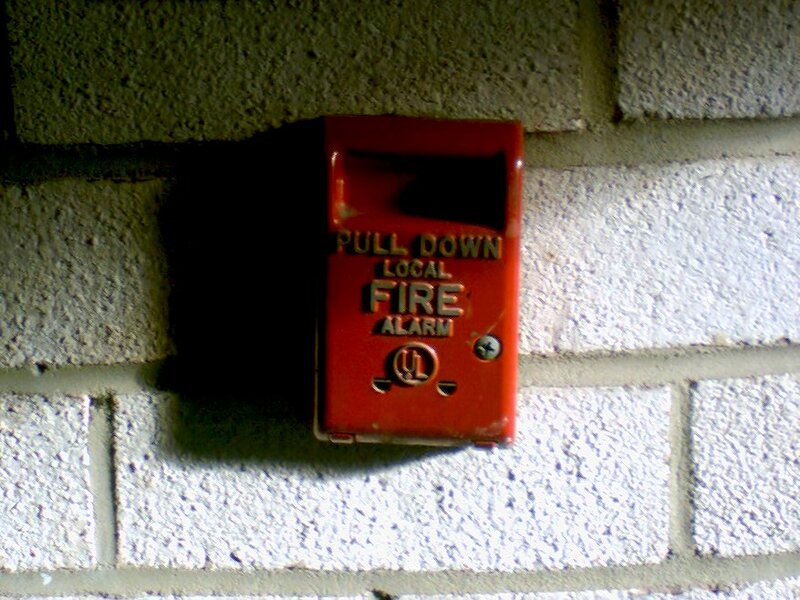 (a) No person shall install or maintain an audible alarm system which creates a sound capable of being mistakenly identified as that of an emergency vehicle siren or a civil defense warning siren. Last I checked, no police car, fire truck, or ambulance runs with a motor bell on it, so bells are safe as far as compliance with that goes. Only vehicle I’ve ever seen with a motor bell on it is an ice cream truck that comes through my apartment complex, and it has a 10″ red motor bell on the side of it near the roof. Go figure. 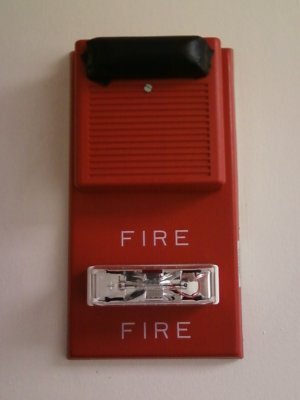 Except for signaling devices jointly approved by the District of Columbia Fire Department and the Office on Aging under the Life Safety System, no person shall transmit or cause to be transmitted a prerecorded message to report any fire, burglary, holdup, or other emergency directly to the Metropolitan Police Department or the District of Columbia Fire Department by means of any telephone device, telephone attachment, alarm system, or other device. Any person violating this section shall be subject to a fine of up to $100 for each offense. 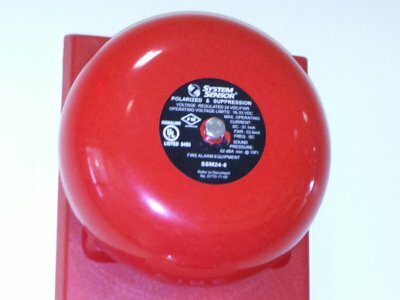 (c) This chapter shall not apply to alarm systems which do not communicate directly or indirectly with the Metropolitan Police Department or District of Columbia Fire Department to request a police or fire department response, but which are designed solely to alert personnel or others directly connected with or employed by the owner or operator of the protected premises or an agency who are required to respond to the scene of the activation prior to initiating a call for police or fire department services. So there you go, I suppose. 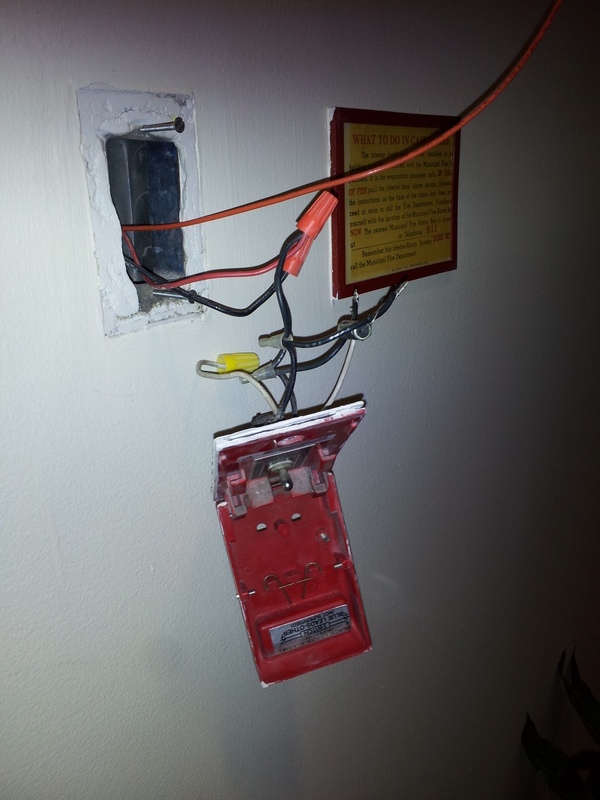 Fire alarm upgrades at work, and DC’s unusual fire alarm situation in a nutshell. I’m sure that this is probably more than you ever wanted to know about fire alarms in one sitting, but I find this stuff fascinating. Now I guess that all of us at work will find out together when the new alarms go in. And if I remember to ask, maybe I’ll get a few new alarms to add to the collection. Postscript: And a funny thing, too, about this whole work. I think they might ultimately end up replacing the pull stations as well, but I wasn't left with an entirely solid answer on that. My guess is that if they replace the pull stations, we get Fire-Lite BG-12s. I just get that feeling. We'll see if they replace them, I guess, and if they do, we'll see if I'm right.